Courtesy of RE/MAX Connection, Realtors 614-478-2121, DeLena Ciamacco 614-882-6725. INDESCRIBABLE! ACOCK DESIGN/FALLON BUILT RANCH HOME W/LOFTS ON THE OLENTANGY RIVER. AS SEEN IN ARCHITECTURAL DIGEST & OHIO MAGAZINE! 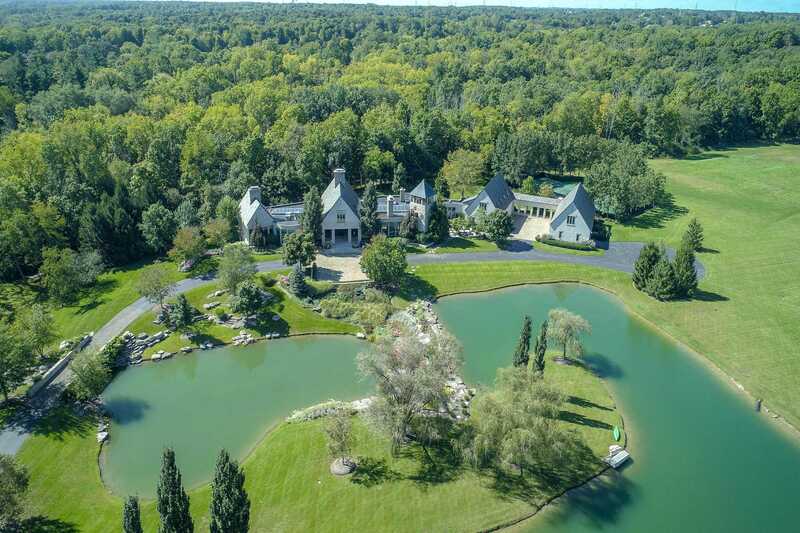 ~15,000SF ON ~40 VERY PRIVATE GATED & FENCED SCENIC ACRES W/RAVINES, WOODS & MULTI-TIERED LAKE W/WATERFALL. ~2,000SF OWNER’S RETREAT! CHEF’S KITCHEN W/2ND ”PREP” KITCHEN. TWO-STORY GREAT RM W/FLOOR-TO-CEILING STONE FIREPLACE & WALLS OF WINDOWS! FULL, FNSD LL HAS REC RM/ARCADE, 3RD KITCHEN, 4 LEVEL HOME THEATRE, BR SUITE W/SITTING RM, WINE CELLAR & MORE! 6 FIREPLACES. BONUS RM/IN-LAW/NANNY SUITE W/FULL BATH. 4 LEVEL LIBRARY-TO-WINDOWED WIDOW’S WATCH OVERLOOKING THE ENTIRE GROUNDS. ELEVATOR TO 2 LEVELS. INDOOR ENDLESS POOL. HEATED 10 CAR GARAGES. TENNIS/BASKETBALL COURTS. SMART HOUSE TECHNOLOGY & ENVIRONMENTALLY FRIENDLY W/RADIANT HEATED TRAVERTINE FLOORS. Please, send me more information on this property: MLS# 218034291 – $3,990,000 – 4000 Olentangy River Road, Delaware, OH 43015. I would like to schedule a private showing for this property: MLS# 218034291 – $3,990,000 – 4000 Olentangy River Road, Delaware, OH 43015.